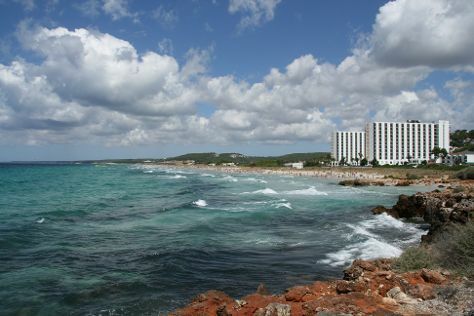 We've included these beaches for you: Playa de Son Bou and Cala Macarelleta. Popular historic sites such as Cathedral Ciudadela and Faro Cap d'Artruix are in your itinerary. Explore the numerous day-trip ideas around Fornells: Mahon (Iglesia Del Carmen, Mercat de Pescados, & more), Pas d'en Revull (in Ferreries) and Bodegas Binifadet (in Sant Lluis). There's lots more to do: kick back and relax at Cala Turqueta, stroll through Playa Arenal De Son Saura, take in the waterfront activity at Mahon Port, and take a leisurely stroll along Puerto de Ciudadela. To find photos, other places to visit, and other tourist information, you can read our Fornells online itinerary planner . London, UK to Fornells is an approximately 7.5-hour flight. You'll lose 1 hour traveling from London to Fornells due to the time zone difference. Traveling from London in August, expect Fornells to be somewhat warmer, temps between 34°C and 24°C. Finish your sightseeing early on the 24th (Fri) to allow enough time to travel back home.